MANILA – President Rodrigo Duterte on Thursday said he is scouting for a new spokesman who will replace Salvador Panelo. Panelo, concurrently Duterte’s chief legal counsel, replaced Harry Roque who effectively resigned after filing his certificate of candidacy for senator. 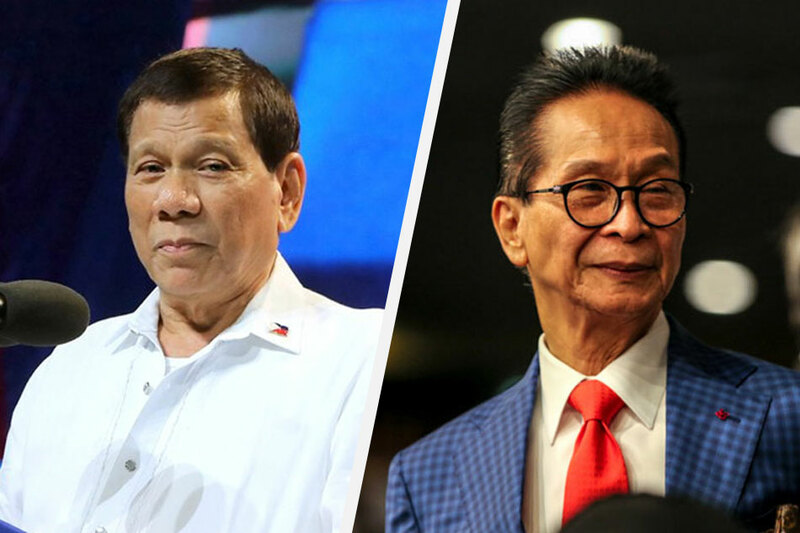 The President, however, said Panelo is serving as his temporary spokesman. “No, I don’t think he will transition himself to a spokesman. Maybe in the meantime that I’m considering other names,” Duterte told reporters in a chance interview in Boracay. “[I] think one from ABS-CBN,” he said in jest. Duterte earlier said Panelo may run a revived Office of the Press Secretary, but it is not yet clear whether this plan still stands.